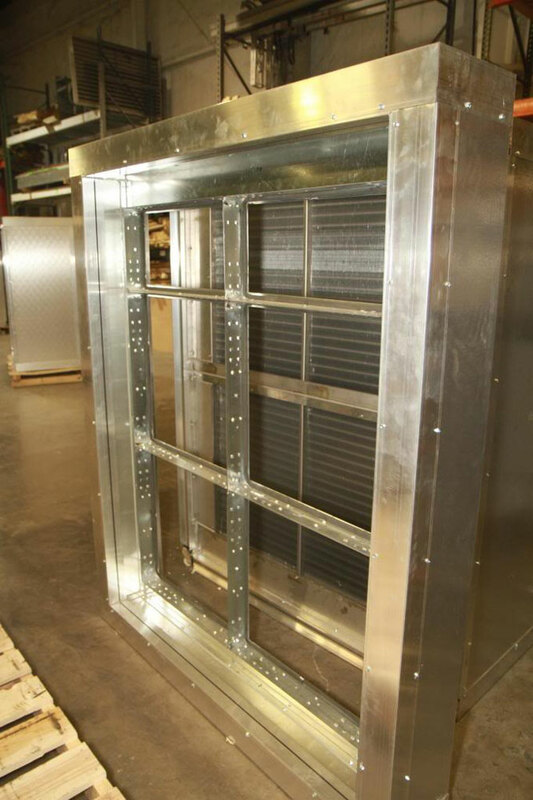 ACT provides total flexibility with unmatched craftsmanship and system integrity. Whether our systems are “field” or “factory” built, ACT provides the same high level of quality and flexibility. There are many variations of system design and construction and ACT-ISD generally utilizes many of the following unit construction features and components. 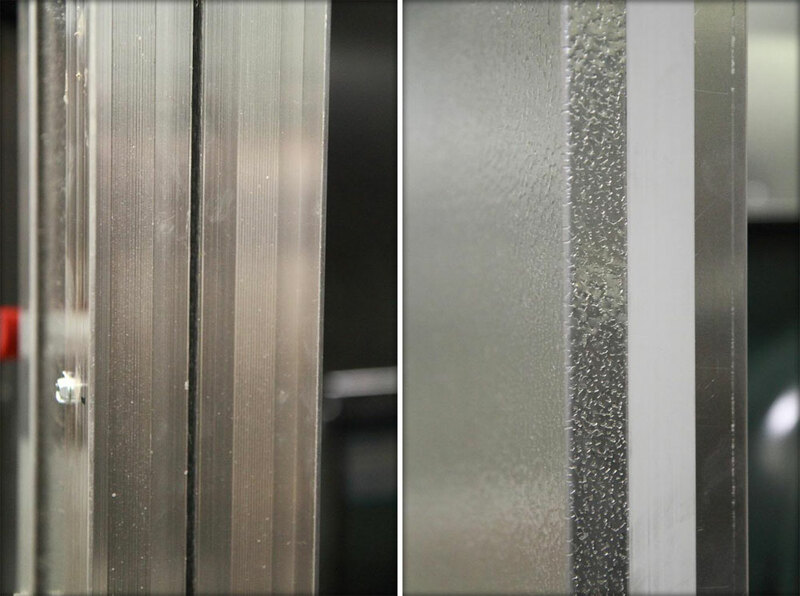 Foam injected thermal break casings with “No Thru Metal” construction. 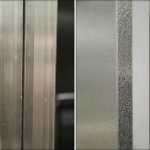 Embossed aluminum exterior liners. (Other materials available upon request). 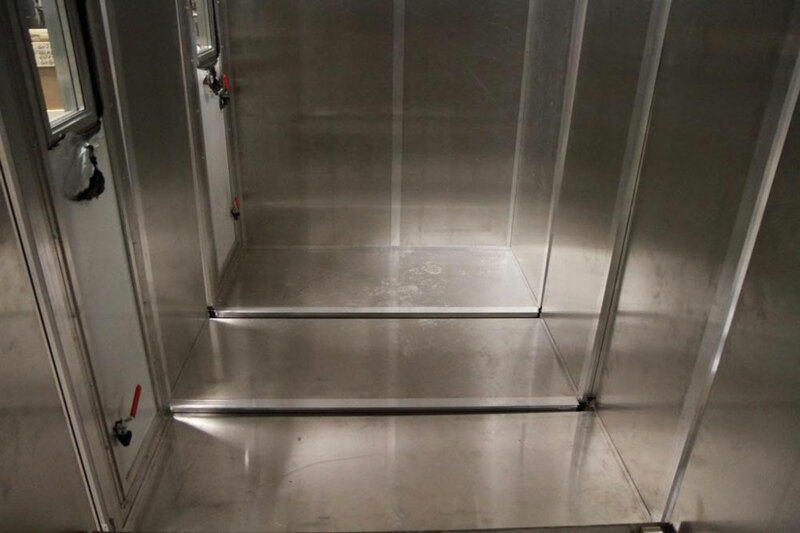 Smooth aluminum, galvanized or stainless steel internal liners. 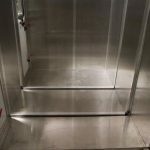 Aluminum or stainless steel tread plate floors with water tight construction and dedicated floor drains. Maximum 1% case leakage at 10” wg positive and negative pressure. (1/2 % available upon request). 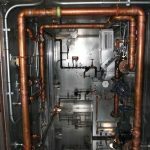 Maximum casing deflection of 1/240L on longest panel at 10” wg positive and negative pressure. Structural insulated bases with lifting lugs. 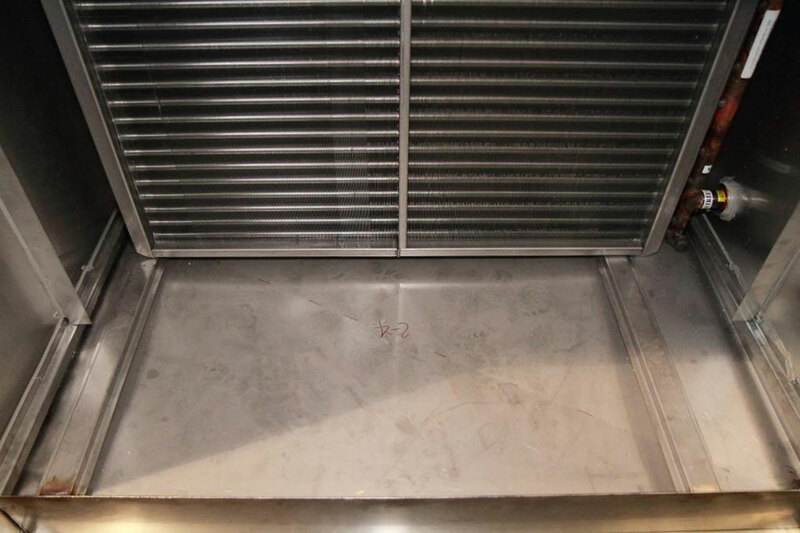 Seam welded, sloped and double wall condensate pans. 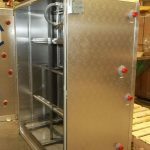 Stainless steel coil casings, and coil support and removal racks. 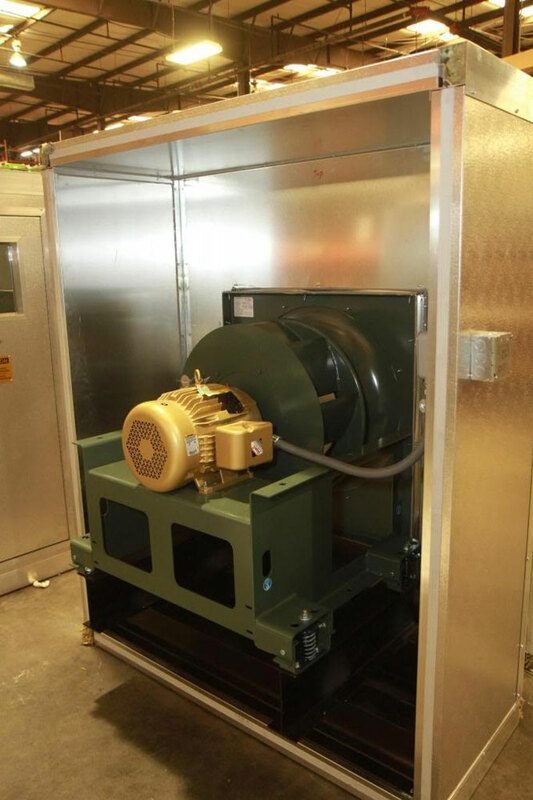 Non-overloading SWSI and DWDI fans with premium efficiency motors. 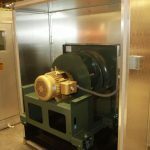 Direct or belt drive fans available. Multi-fan configurations with VFD and control panels. 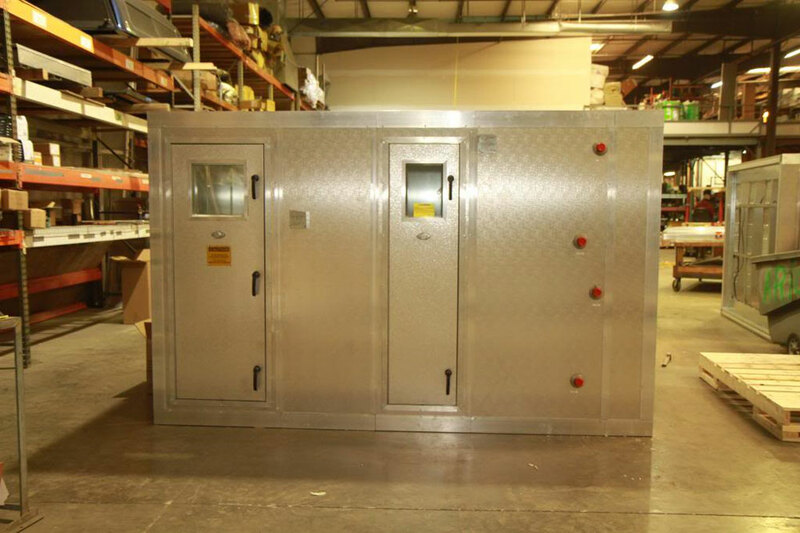 Service vestibules with factory piping, internal lighting and controls. Heat recovery and empathy wheels available. High efficiency particulate, gas and UV purification. 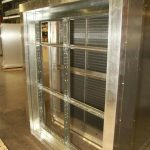 High pressure casing construction options. 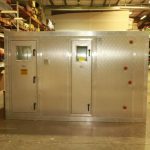 Modular assembled AHU designed for rigging through single man door. 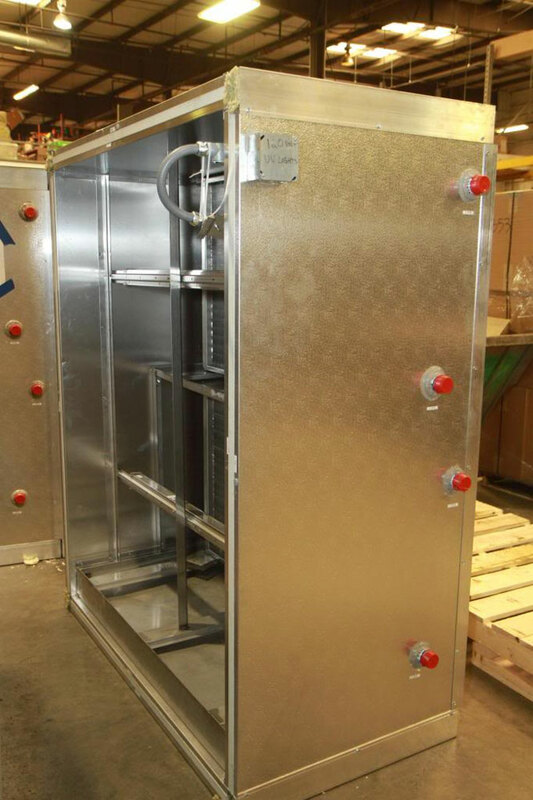 Extruded aluminum infrastructure and casing panels with thermal break design. Modular front loading filter section. 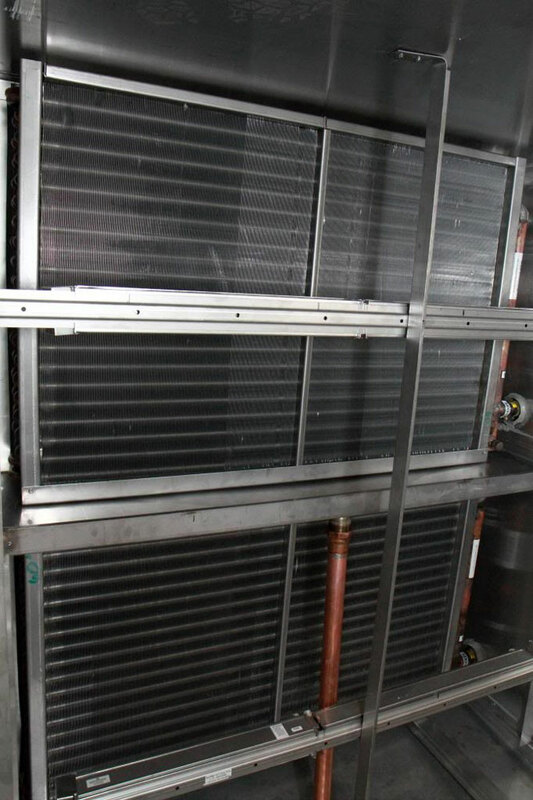 Modular chilled water coil section with UV purifiers. 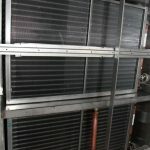 Stacked coils with stainless steel support rack. 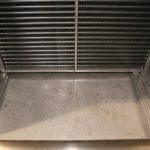 Seam welded and double wall insulated stainless steel drain pans. Modular direct drive fan section. 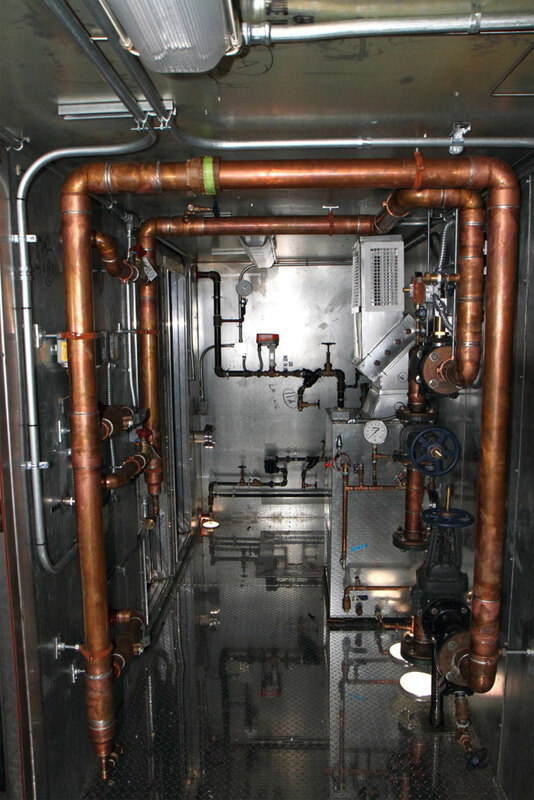 Service vestibules with factory piping, controls and electrical services.